You May Be Spreading Toxins On Your Body Without Even Realizing It! You may have heard us say before that your skin is the LARGEST organ in your body. It protects us in many ways and from many invaders, regulates our body temperature, keeps water in (huge benefit when you consider how much water you are drinking per day), and is a contributing system when it comes to sensations. Anything you put on your skin takes 26 seconds to absorb into your body, which, if you really think about it, isn’t a lot of time. Sadly, most of the body care, skin care, and makeup products on the market are chemically filled…to the extent that the average woman puts approximately 168 chemicals on her body DAILY. Not monthly, not weekly, but daily! And since it only takes 26 seconds to absorb into the skin, that means 168 chemicals enter the body on a daily basis, or per application. That is a decent amount of self-applied chemical exposure, and each chemical brings a health risk to your body. I get what you might be thinking…”It took me FOREVER to find personal care products I like and that are actually effective for me, and now you are suggesting that I get rid of them? !” I know it’s hard. We all have our favorite something… favorite make-up line, favorite hairspray, favorite shampoo. 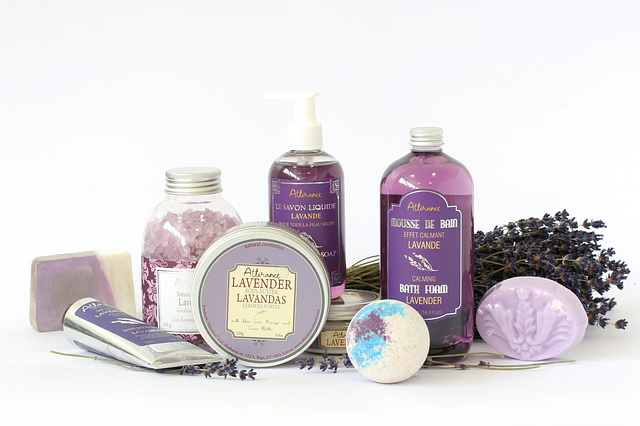 As silly as it may sound, personal care products are exactly what the name states – personal. I want to break down some ingredients for you and explain what they are and why they aren’t the best option for your health. Please remember as we talk about these products that the health risks of each vary, based not only on the products, but the amount of exposure over time a person is getting from each product. Sodium Lauryl Sulphate (SLS) – Simply put, this is the chemical ingredient that makes products such as shampoo, toothpaste, body wash, soaps, make-up, detergents, and engine degreasers lather and foam. The Environmental Working Group classifies this ingredient as an “irritant,” with a high concern of skin, eye, and lung irritation as possible side effects. SLS also has the chemical dioxin in it, which can affect the liver, as it is a hard chemical to metabolize. I don’t know about you, but the idea that I am putting a chemical on my body that they also use in engine degreaser is enough to turn my stomach. Phthalates – Listed as “fragrances” in the ingredients, phthalates are the chemical components that help smell and color to stick. The problem with phthalates is the negative impact on the female and male endocrine systems. This chemical mimics hormones, therefore interfering with natural hormone production. Phthalates can be found in multiple products, including deodorant, lotions, and nail polish. Quarternium-15/18/25, DMDM Hydantoin, Bronopol…in a nutshell, these are preservatives that release formaldehyde – and only a few of the preservatives, to be exact. According to the US Department of Health, a product that breaks down and releases formaldehyde gas is considered a human carcinogen. It can lead to health issues such as joint pain, allergies, headaches, and even insomnia. These preservatives are found in many makeup products, including mascara. Paraben/Phenoxyethanol – This is one of the most talked about ingredients currently. Several makeup lines are starting the “paraben-free” marketing campaigns and replacing with phenoxyethanol (which has the same negative effects on your health). Parabens and Phenoxyethanol are essentially preservatives used in cosmetics. They are known for their disruption to the female endocrine system, specifically the effect on estrogen. There is also a possible link to nervous, immune, and reproductive system health. These ingredients can be found in a wide variety of personal care and makeup products. Mineral Oil – A common misconception in the cosmetic field is the phrase “mineral oil.” Many people will read this phrase and assume the product is healthy, when in fact it is another ingredient you should be avoiding. Mineral oil is petroleum-based. When present in skin and body care products, it can clog pores, preventing the skin from being able to eliminate toxins properly. It also affects how the skin functions and develops. Be aware! Mineral oil can be found in many baby products. These are only five of the MANY toxic ingredients in personal care products. Please be aware of what you are using. Read labels. Know the chemicals to watch out for. If you need some brand ideas, please talk to your clinician at your next appointment. There are also some wonderful and safe WOL approved products for sale on our website.